Yellowstone has announced the opening of a new trail and overlook system adjacent to Midway Geyser Basin overlooking Grand Prismatic Spring. According to a Yellowstone press release, the Grand Prismatic Spring Overlook Trail replaces former “social trails” made by visitors looking to get a better view of the basin. In addition to a new trail system, crews also built a parking area near the Fairy Falls Trailhead. Trail crew rehabilitated the hillside resource damage. They also designed and built the trail with assistance from the Montana Conservation Corps and Yellowstone’s Youth Conservation Corps. The new trail gradually climbs 105 feet over 0.6 miles from the Fairy Falls Trailhead to an overlook with views of Midway Geyser Basin. 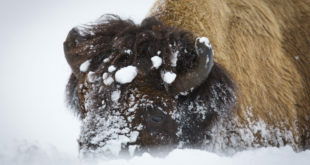 Yellowstone officials also remind visitors to “pack their patience,” around this area, as (even with the new parking area) space for cars will be limited, especially as visitation remains high.